For my layout I chose one large photo in stead of 3 smaller photos. I took this picture of my daughter, Liani, in the Richtersveld in June 2010. 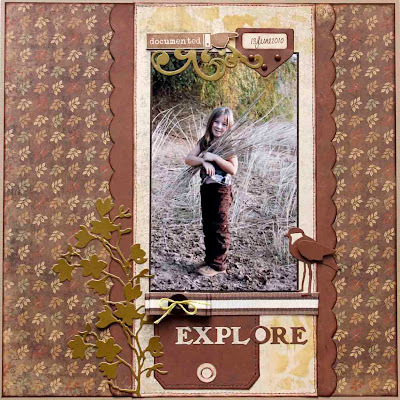 Hop over to SCRAP AFRICA for more inspiration! Love this layout! Your pic. looks so nice. 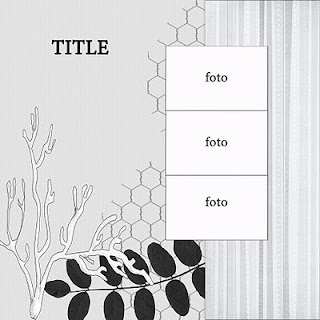 I love all the natural-themed elements on your page--they're perfect with the outdoorsy photo. The monochromatic color scheme was a nice choice. Gorgeous layout. Love the design and of course the beautiful subject. This is beautiful, Elizna!! I love that you've kept the layout clean and simple . . . but it is still so striking!! Love the monochromatic look of it as well!! Beautiful work! This is really a great layout! Love the colouring and the simplicity, yet elegant! You got your hands dirty and your layout still looks so clean;-) I love the simplicity of your layout and the one photo works perfectly with the sketch. Great job! I love how the colors match for photos and paper! Thank you for playing with us at ScrapAfrica! Hi, Elizna! I love your take on the sketch! and I love the monochrome colors of your LO. it is so beautiful! thank you for joining us at Scrap Africa!